There are lots of good used cars for sale in Cincinnati, but how do you make sure you find the best one at the best price? Doing your research before heading to the dealership can help you choose a model that’s perfect for your lifestyle without going over your budget. Whether you’re looking for a pre-owned sedan, hatchback, or SUV, there are plenty of first-rate choices out there. Check out this list of 10 great vehicles you can get for under $15,000. With features galore, fuel efficiency that will make your wallet happy, and performance that pleases, these used models offer you everything you could want in a vehicle, plus a few things you probably never even thought of. This stylish entry from Chevy handles well and feels grounded. It comes equipped with either an inline-4 or V6 and gets up to 33 miles per gallon on the highway. Top trim levels include enjoyable touches like leather upholstery, LED taillights, heated mirrors, and a Bose stereo. Used models have numerous amenities and surprisingly low price stickers. 2011 Malibus also have the highest possible safety rating from the Insurance Institute for Highway Safety and four out of five stars in government crash testing. So they offer drivers plenty of peace of mind when they’re out on the road. The Fusion was revised for 2010 and returned with new engine options and better fuel economy. It’s an excellent choice for those who love to drive because it provides an engaging experience. Some used models even have AWD, which makes them perfect for getting around in the winter. In addition, many pre-owned Fusions have bonus safety features like blind spot monitoring and rear park assist. You’ll find that the ride is comfortable, the cabin is spacious, and there’s also lots of trunk space. With so much to offer, it’s no surprise that the Fusion was named 2010 Car of the Year by Motor Trend. Toyota’s well-known hybrid is a great used buy. Skip the depreciation and still get all of the incredible fuel savings. How would you like to get 48 miles per gallon on highway and up to 51 in the city? Aside from being one of the most cost effective models to own, the Prius has a convenient hatch design and offers a very quiet, smooth ride. It was refreshed for 2010, getting a sleeker look and a more energetic ride feel. You may also find add-ons like heated leather seats, a solar-powered sunroof, and navigation. 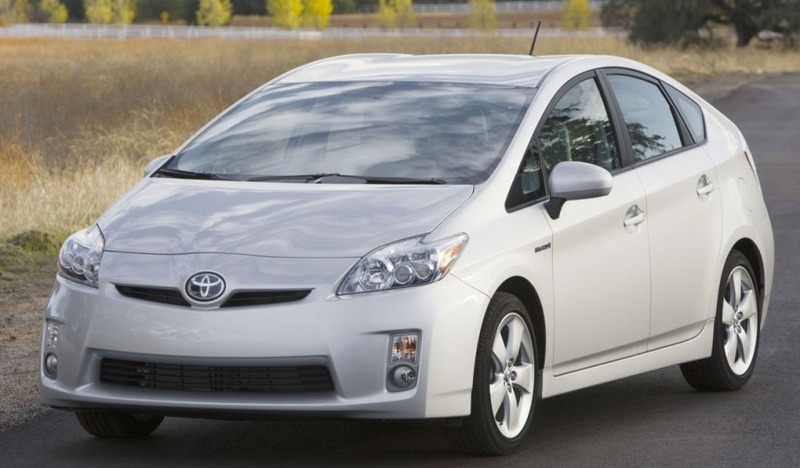 In addition, Toyota made several cutting-edge safety features available in the 2010 Prius. Look for models with adaptive cruise control, lane departure warning, and a pre-collision system. The Sonata offers luxury feel and lots of fantastic features for a great price. It’s interior is extremely comfortable, and comes standard with keyless entry, a leather-wrapped steering wheel and shift knob, satellite radio, and heated mirrors. Higher level trims step it up even more with Bluetooth, leather upholstery, and authentic wood trim. There are countless add-ons that may appear in the upscale cabin of any lightly used Sonata. The base engine is a 2.4-liter 4-cylinder that moves the car nicely, but you can also find models equipped with a 3.3-liter V6 that furnishes 249 horsepower. So if you like some extra get-up-and-go, search for models with the larger engine. Brand new for 2011, the Outlander Sport certainly made an impression when it hit the scene. Its edgy looks make it an attractive choice, and it backs up its sharp appearance with good performance. Unless you prefer a manual , look for models with the optional continuously variable transmission (CVT) for a smooth ride and the best fuel economy. 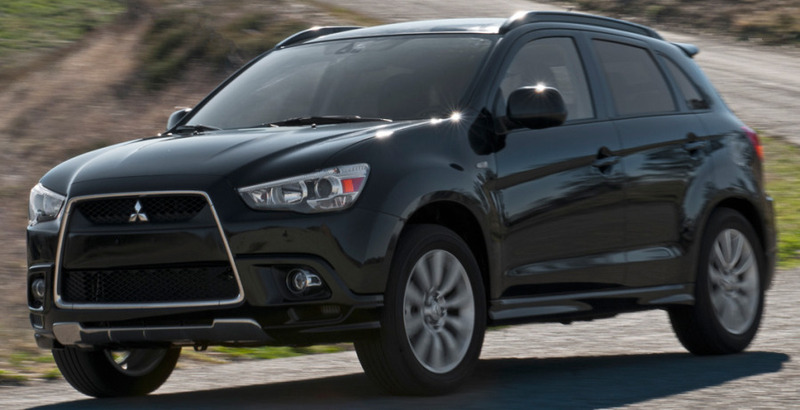 The Outlander Sport gets impressive efficiency for a crossover, logging up to 31 miles per gallon. You can find AWD models with selectable drive modes, and all trims come with a slew of top-notch features, including Mitsubishi’s Fuse voice-activation system. This is one of the most popular sedans around. It holds its value and is known for reliability. The Accord’s craftsmanship and materials are extremely high quality. You can find it in either a coupe style or as a four-door, and engine options range up to a V6 that delivers 271 horsepower and 254 lb-ft of torque. Getting up to 31 mpg on the highway, the Accord offers solid fuel-efficiency and keep costs low for commuters or families with lots of daily destinations. If you like to stand out a little, this is the car for you. With its unusual modern styling, zippy ride, and good handling, it makes everyday routines more fun. Music lovers will be happy in this peppy little wagon because it comes standard with a 6-speaker Pioneer audio system that has an auxiliary audio jack. The optional Alpine system takes it to the next level with a touchscreen interface and even higher quality sound. Lots of other pleasing features abound, and all for a reasonable price. So if your drawn to contemporary style, the xB is definitely worth a test drive. 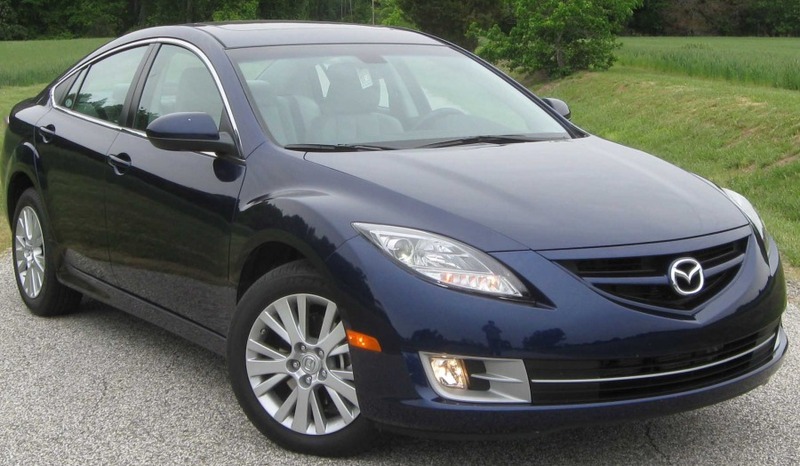 The Mazda6 is a great pick for anyone who is looking for an athletic ride. Higher end models come equipped with powerful V6s that offer 272 ponies to play with. This Mazda reaches 60 miles per hour from a dead stop in 6.5 seconds, and it can come back to a standstill in 125 feet. The interior perpetuates the sporty look and feel with details such as the red backlit gauges. And there’s lots of space so passengers won’t feel cramped. Plus a very large trunk makes road trips super convenient. You may just find yourself using up those vacation days you’ve been saving and hitting the highway. 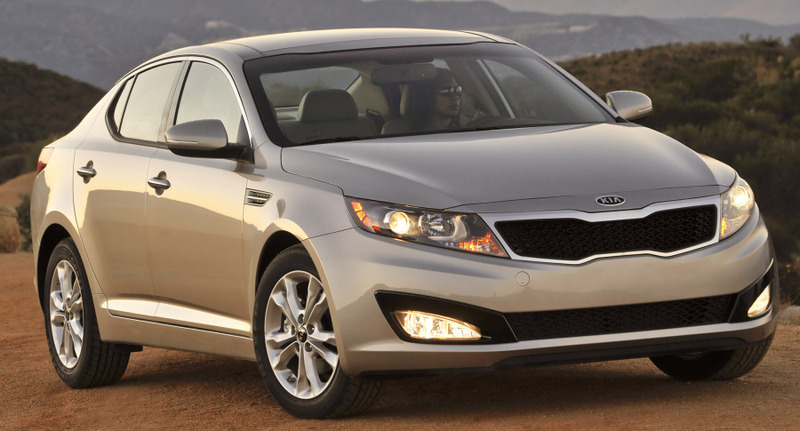 A complete redesign in 2011 made the Optima one of the most competitive sedans on the market. Modernized, dressed lavishly from the outside in, and boasting 39 miles per gallon, this sedan is a hot find. All Optimas come with a long list of grade-A amenities. And you can also track down some pre-owned models with turbocharged engines, sport-tuned suspensions, and ultra edgy exterior details. Optimas with the optional tech and premium packages are fitted with top-of-the-line conveniences like a rearview camera, dual-zone climate control, and heated rear seats. Providing an incredible amount of bang for your buck, the Optima offers a comprehensive package that is sure to please from the moment you get behind the wheel. This crossover from Nissan is very responsive, handles well, and rides smoothly. It has snazzy exterior styling including a distinct grille and rear spoiler that go nicely with its lively performance. Base models feature keyless entry, cruise control, and an auxiliary jack for the sound system. You may come across upgraded packages with Bluetooth, steering-wheel mounted controls, xenon headlights, and Bose audio. Good safety ratings and a short stopping distance also make the Rogue a smart pick for families who need some extra room.